The two greatest rock ‘n’ roll bands of all time face off as the Washington Center hosts the nationally touring show, Beatles vs. Stones – A Musical Showdown. 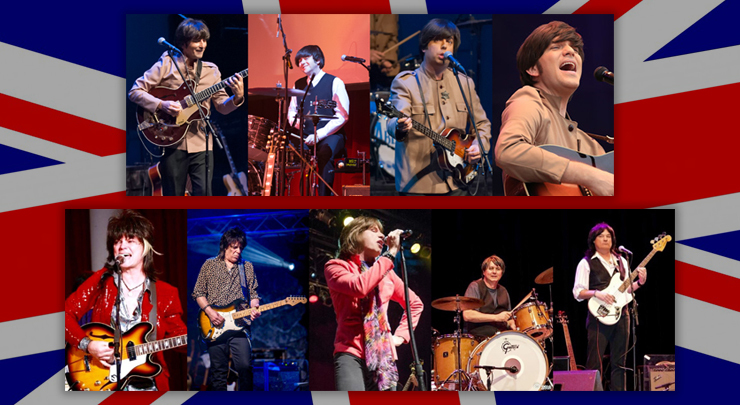 Taking the side of the Fab Four is Abbey Road, one of the country’s top Beatles tribute bands. With brilliant musicianship and authentic costumes and gear, Abbey Road plays beloved songs spanning the Beatles’ career. They engage in a musical “showdown” of the hits against premier Stones tribute band Satisfaction – The International Rolling Stones Show, who offer a faithful rendition of the music and style of Mick Jagger, Keith Richards and the bad boys of the British Invasion. Student, Senior, and Group discounts available.